CSSD provides innovative information technology services that support learning, teaching, technology, research, and business at Pitt. Our technology professionals have expertise in networking, telecommunications, application development, information security, computing operations, and end-user support. Our Technology Help Desk answers calls 24/7. Help Desk requests also can be made via an online form, email, or through a Live Chat feature. Your source for free software at Pitt is redesigned and better than ever. Visit the Software Download Service at My Pitt for great titles from Microsoft, MATLAB, and more! Find apps for Blackboard, lynda.com, Box, Microsoft Office, campus news, career fair preparation, and much more. All your Pitt-related apps, all in one place. Is it time to explore your creative side? Why not give songwriting, photography, or designing a comic book a try? Lynda Online Learning can teach you these skills and more. Learn about the technology perks of being a student at the University of Pittsburgh. We're here for you, whether you need IT support or a new piece of software. Ryan, Tony, and Jeff share Pitt IT’s commitment to empower the University community through the strategic and coordinated use of technology. The IT Plan for Pitt outlines strategic priorities for information technology for 2017 – 2020. Pitt continues to develop its ERM system to expand engagement, enrich connections, and improve information sharing between areas of the University. 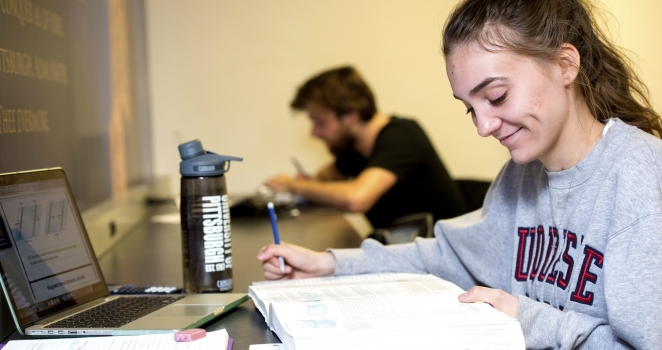 Renovations to the computing labs are bringing increased personal space at workstations, more collaboration options, and improved bring-your-own-device areas. Pitt Password Manager creates strong, unique passwords and remembers them—so you don’t have to. Extended maintenance from midnight on Wednesday-Thursday, May 1-2, until 11:59 p.m. ET on Thursday, May 2. Duo is no longer able to deliver automated phone calls for authentication to users with +86 phone numbers.